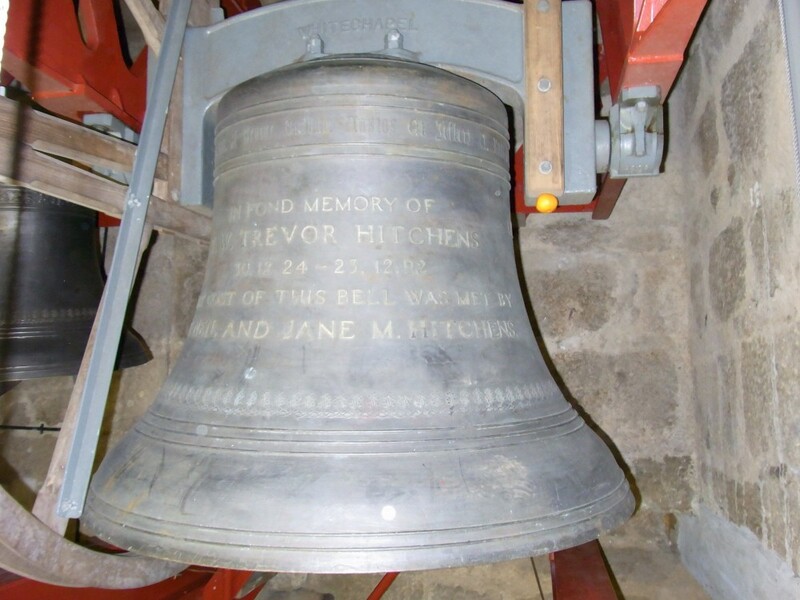 The following photographs tell the story of our Tenor bell, St Solomon. Forming the outer core, and St Solomon seeing the first light of day. Tuning in progress, and ready for transportation to St Buryan. St Solomon arrives at St Buryan church Tower, and on the way up the tower. St Solomon sitting in the bell frame in the Tower. 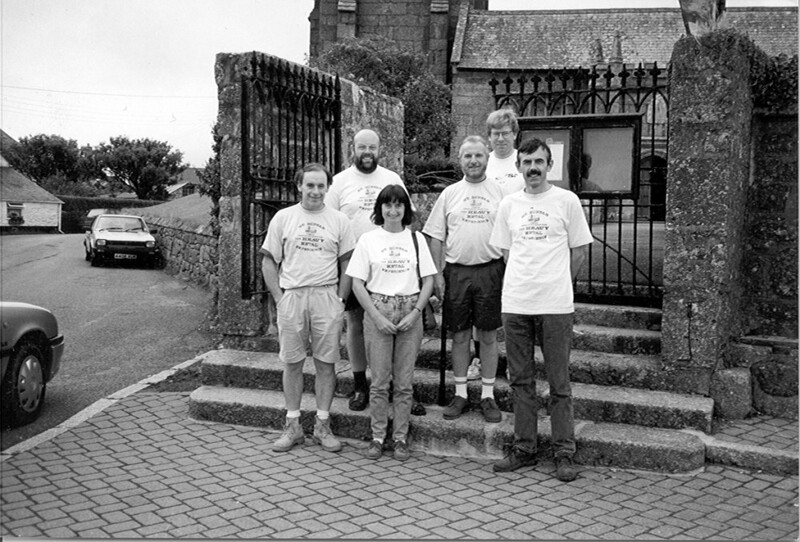 Left to Right: Chris Venn, Chris Pickford, Jane Hitchens, John George, Julian Watson, Neil Hitchens. Saturday 3rd September 1994, in 3 hours 56 minutes, 5040 London Surprise Minor (two 2160’s and one 720).